Choosing it from the left toolbar: it will create an “empty” image, initially. Pasting an image from the clipboard: uses an image you have prepared in another application. 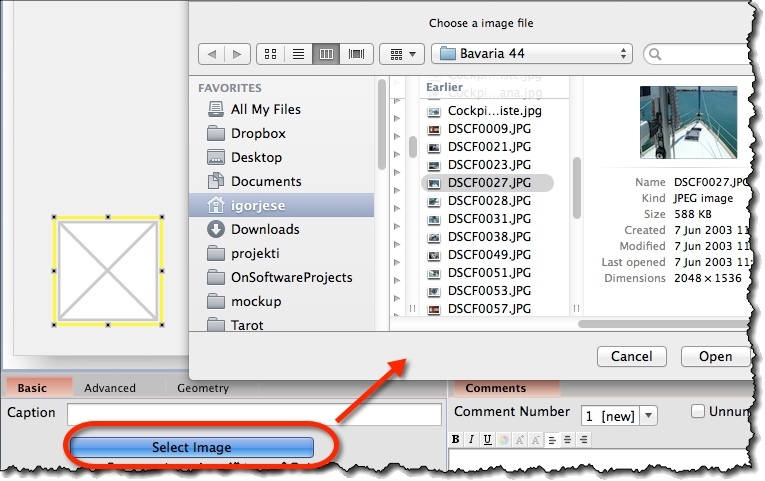 Select the image widget, then click “Select Image” button in the property panel. When you resize images, aspect ratio is locked by default. Caption (“Basic” tab) – Text to be displayed over the image. Select Image (“Basic” tab) – Opens file dialog to select which image to use. 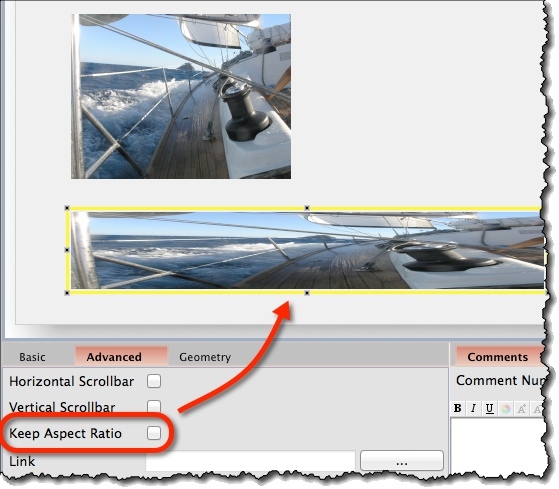 Keep Aspect Ratio (“Advanced” tab) – Lock width and height of the image to keep the same ratio. 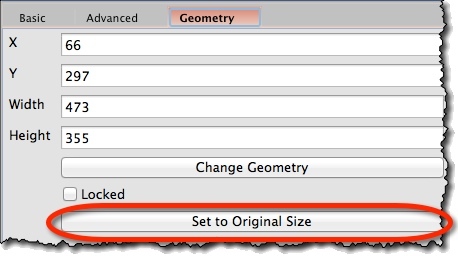 Set to Original Size (“Geometry” tab) – Set width and height to those of the original image.